The key to an efficient computer network is maintenance. 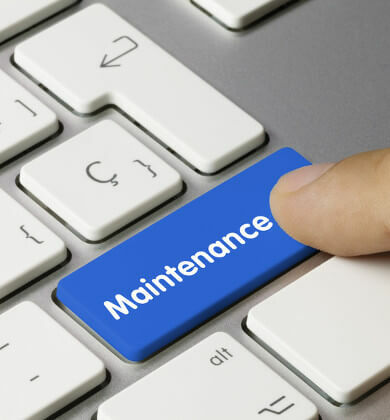 What’s the best kind of maintenance? Preventative. Often small businesses don’t give much thought to their computer network until something crashes or breaks. Having a proactive approach to maintaining your computer network can save you hundreds, or even thousands, in repairs and replacements. With Keystone Connect’s computer network maintenance package, you can rest assured that you will prolong the life of your network and reduce the cost of unexpected repairs. We have all been frustrated by slow-operating equipment and computer networks. These tools not only protect your network, but allow for them to run smoother and faster by keeping your computer network updated and clutter free. Let us help you run your business efficiently and stress free. Events happen beyond our control that may require an emergency repair call. The good news is, if you are on our computer or network maintenance plan, you receive a discount for unplanned service calls.